Indulge in a 14K yellow gold and diamond fashion necklace from Gabriel & Co., like this pretty piece from the aptly-named Indulgence collection! 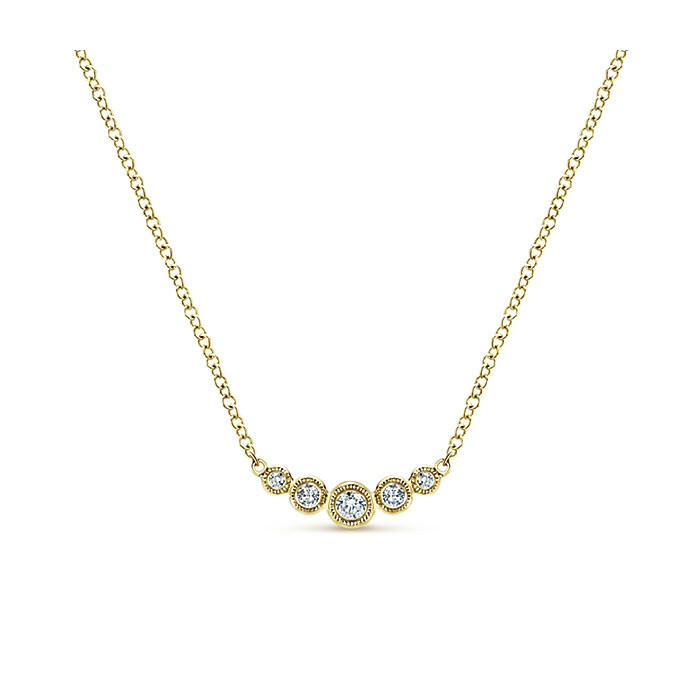 Five round diamonds are set in a gently arcing curve along a 17.5" precious metal chain. Milgrain detailing adds a timeless touch. 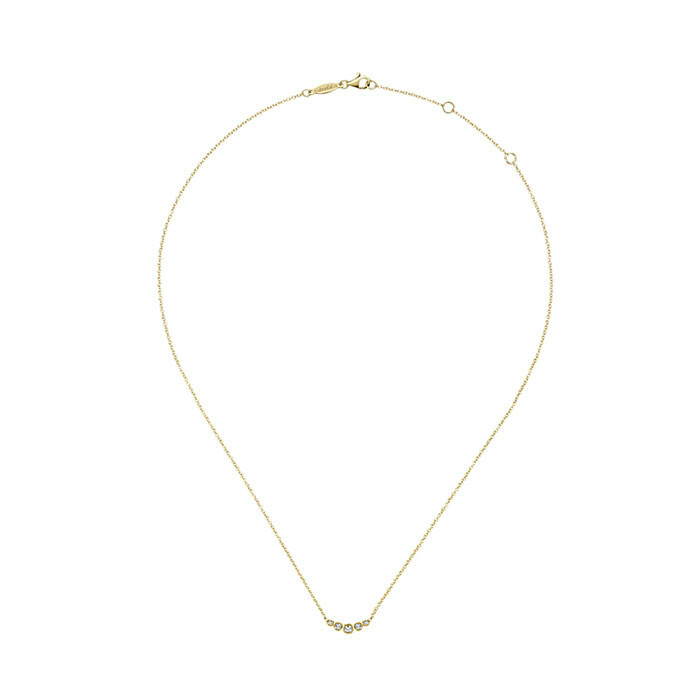 This Gabriel & Co. bar necklace will transform any outfit.